Zentangle is a new and meditative art form for the non-artist and artist alike. Taught one stroke at a time, anyone can learn this unique drawing technique. Spend three weeks learning how to draw “seemingly” complicated patterns and create beautiful, finished pieces of art. Fun, easy, meditative and fascinating are just some of the descriptions that come to mind. Come join the fun and discover the benefits of Zentangle! Visit www.zentangle.com for examples and more information. Thursdays, March 8,15 & 22, 2012: 3 weeks, 2-4 pm, $79 includes materials. Thursdays, March 8,15 & 22, 2012: 3 weeks, 6-8 pm, $79 includes materials. Wednesdays, April 11,18 & 25, 2012: 3 weeks, 2-4 pm, $79 includes materials. Wednesdays, April 11,18 & 25, 2012: 3 weeks, 6-8 pm, $79 includes materials. Wednesdays, May 2, 9 & 16, 2012: 3 weeks, 2-4 pm, $79 includes materials. Wednesdays, May 2, 9 & 16, 2012: 3 weeks, 6-8 pm, $79 includes materials. Take your tangling to new depths and heights! While learning new tangle patterns, the focus will include how to shade for greater depth and how to highlight for greater expansion. Tangellations will be introduced as a simple method in how to create new and unique patterns of one’s own. How to enhance patterns will include dewdrops, rounding, aura’s and “perfs.” For this offering, “advanced” means you have participated in an introductory workshop, or class. Come join the fun and meet others who have been enjoying Zentangle too! 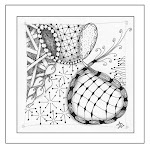 Visit www.zentangle.com for examples and more information. Mondays, March 5,12, 19 & 26, 2012: 4 weeks, 1:30-3:30 pm, $99 includes materials. Tuesdays, March 6,13, 27 & April 3, 2012: 4 weeks, 6-8 pm, $99 includes materials. Thursdays, April 12,19 & 26, 2012: 3 weeks, 2-4 pm, $79 includes materials. Tuesdays, April 17, 24 & May 1, 2012: 3 weeks, 6–8 pm, $79 includes materials. Thursdays, May 3,10 & 17, 2012: 3 weeks, 2-4 pm, $79 includes materials. Book a Private Party or Class! Host a class, or better yet a party, at your location and the cost is only $35 per person including instruction and materials, minimum of four students. Host decides the duration, from one and a half to two and a half hours. With five paying students the host attends free, and there is always a gift to the host. With ten paying students, the host receives a free Zentangle Kit (a $49 value). Everyone enjoys a free raffle. Travel fees to instructor may apply for locations a considerable distance from Concord, NH. Contact Diane at timetotangle@comcast.net for more information and/or to schedule a class.